Pennsylvania is a northeastern state and the birthplace of the United States. As one of the original thirteen colonies, its largest city of Philadelphia is the site of the signing of the Declaration of Independence and the Constitution and home to the Liberty Bell. Pennsylvania is also home to Amish territory, farmland, forests, and mountains, and its capital city of Harrisburg sits just between the two major cities of Pittsburgh and Philadelphia. Pennsylvania is home to 12.8 million people and a popular tourist destination largely because of Philadelphia's rich American history and many museums and arts centers. Pennsylvania is one of several states in the nation in the grips of the opioid epidemic, experiencing a drastic increase in opioid overdose deaths from 11.2 deaths per 100,000 people, to 18.5 deaths in just one year, from 2015 to 2016. The rate is an average of all areas of Pennsylvania, but there are at least eight counties in the state with opioid overdose death rates of 50.0 deaths per 100,000 people or higher, the highest among them at a staggering 74.1 deaths per 100,000 people. According to the National Institute on Drug Abuse (NIDA), since 2010, the opioid overdose death rate in Pennsylvania has increased in all categories. Heroin overdose deaths have increased from 131 to 926, synthetic overdose deaths rose from 98 to 1309, and prescription overdose deaths have jumped from 411 to 729. 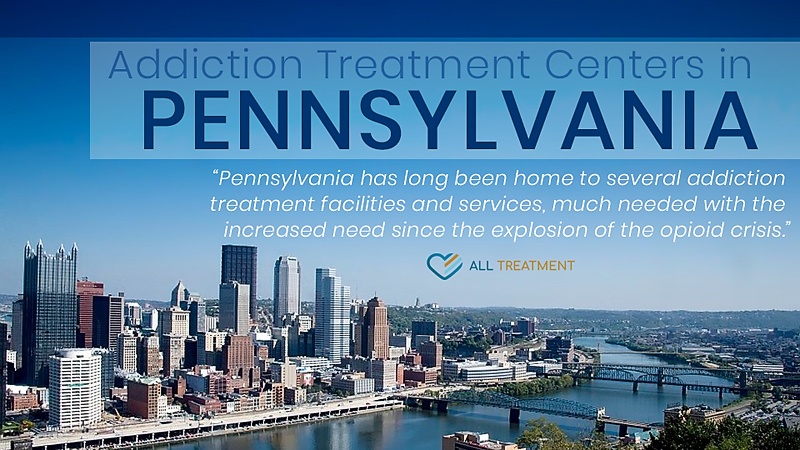 The 2017 Treatment Episode Data Set analysis of admissions in Pennsylvania show just over six thousand admissions with heroin or other opioids as the primary drug of abuse, compared to 2,744 admissions for alcohol, which was the next most commonly reported primary drug of abuse for the state.